SAP already has a fair few data centres worldwide. We asked IBM UKI Cloud Leader, Doug Clark, why Big Blue ended up sealing one of the most important partnerships of its history with German software and cloud specialist SAP and some of the answers are not only frank but also refreshingly honest for what looks like a game changing alliance. TR: Why did SAP choose to partner with IBM rather than go alone or expand its partnership with existing ones? DG: It is a natural evolution of the partnership, IBM and SAP are renowned for working together with a diverse range of enterprise clients on complex SAP implementations managing business critical apps. This agreement is yet another watershed moment for enterprise clients with the two companies combined expertise to prepare clients for the speed of cloud era for core business. The result of this agreement will provide clients with the security, speed and agility of cloud for their core businesses. Clients will also have instant access to IBM's global data centers in every major market to manage complex workloads for businesses. Together, IBM and SAP have the expertise, solutions, and cloud infrastructure to deliver SAP business solutions on the IBM Cloud. IBM brings enterprise depth and the open architecture of IBM Cloud Managed Services and SoftLayer - enabling customers to securely manage SAP workloads from trial, Dev/Test and Production on a consistent infrastructure, with transparency and control over where data resides. In addition, customers will benefit from the deep industry expertise from both companies including IBM consultants who offer industry-specific best practices, enabling customers to transform their organisations. SAP and IBM customers of all sizes will benefit from this joint collaboration of two of the most trusted companies in the industry. TR: How big of an advantage does IBM has when it comes to geographical location of its DCs. DG: IBM is well served in terms of its data centres - IBM plans to deliver cloud services from 40 data centers worldwide in 15 countries and five continents globally, including North America, South America, Europe, Asia and Australia. 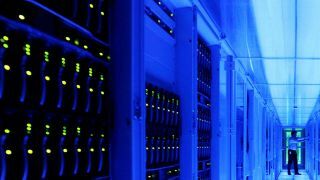 Among the newest data centers to launch are China, Washington, D.C., Hong Kong, London, Japan, India, Canada, Mexico City and Dallas. TR: SAP and IBM compete on several fronts, why should they come together on this project? DG: Every partner we work with has a touch point elsewhere in IBM. Technical attributes will be what clients want so we will collaborate where the opportunity arises. They want choice and we'll give them whatever choice they want. TR: Will IBM be the sole external IAAS provider for SAP? DG: SAP evaluated the landscape and decided to choose IBM. This is the first of its kind partnership where SAP has selected IBM as its premier strategic provider of Cloud infrastructure services for its business critical applications - accelerating customers' ability to run core business in the cloud. This will provide clients with the speed and agility of cloud to run business-critical applications in the cloud. This is something we are both very proud of.